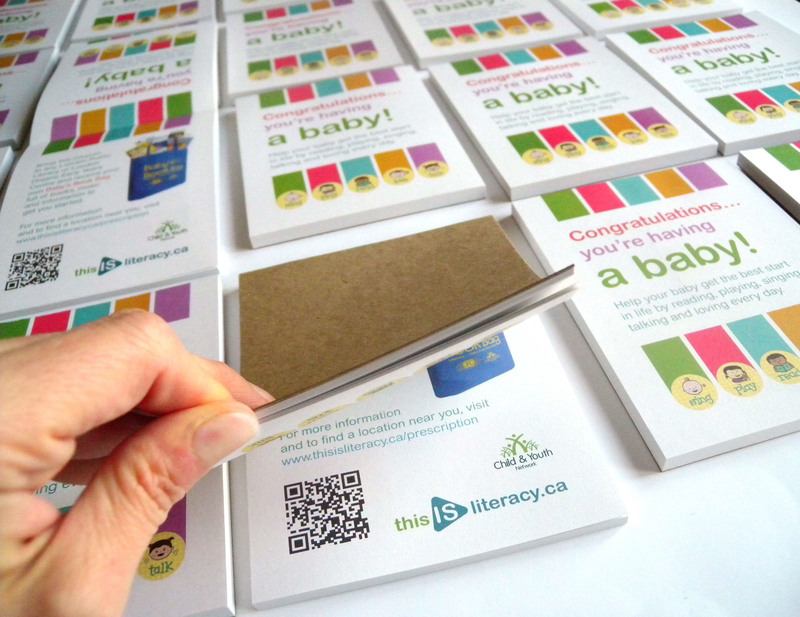 Baby Literacy Pads are designed for thisisliteracy.ca and Child & youth Netwrok of London. Each sheet is to be used as a coupon, in exchange for a Baby's Book Bag. The pads are used at local medical care offices and given to expecting mothers/families. 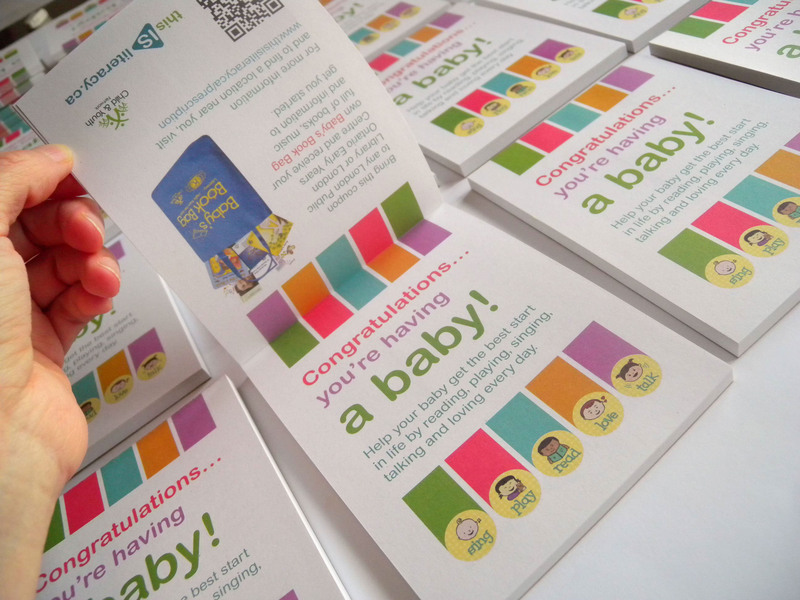 The expecting/new mom/family can then redeem these coupons at their local public library and get the Baby's Book Bags. 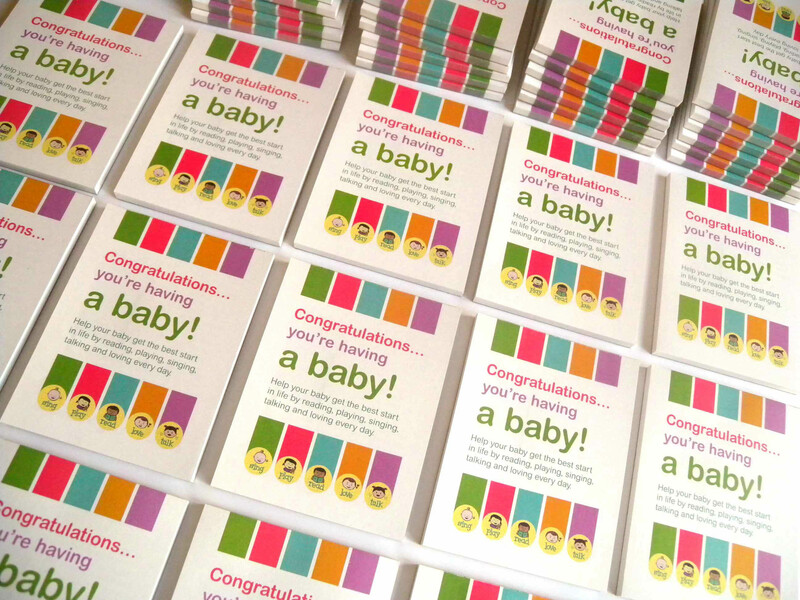 I designed the pads with a colourful theme, and accessible font, to create an encouraging and happy feeling for the expecting moms/families. 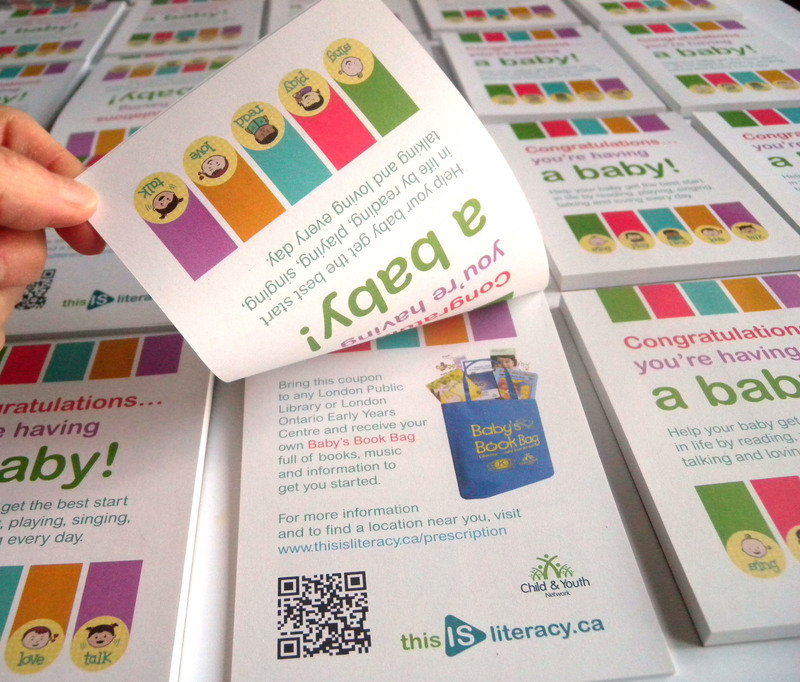 The colours are matching the thisisliteracy.ca branding, and are used in a playful way to bring fun to the pages of the pad. Prior to this project four baby icons were designed by another designer. Client asked me to create a 5th matching "talk" icon which is used in these pads. These pads are currently being used in City of London, ON.